In this workshop report Lowy Institute Nonresident Fellow Dr Malcolm Cook examines the bilateral relationships in Northeast Asia. He argues that ties between China and Japan, China and South Korea, and South Korea and Japan are in a period of fundamental change driven mainly by domestic and bilateral factors. Dr Cook writes that China-South Korea relations are broadening in a positive direction, while Japan’s relations with both China and South Korea are in a much less positive state. The report reasons that the factors driving these relations are not only important in shaping relations within Northeast Asia, they also have the potential to impact US-China relations. The report draws on discussions from three closed-door workshops, all entitled ‘Northeast Asian political and security dynamics in flux’, hosted by the Lowy Institute's East Asia Program in Beijing, Seoul and Tokyo in September 2013. China-South Korea relations are in a long period of increasing recognition and broadening engagement. China-Japan relations are the opposite. Popular antipathy is increasing in China-Japan and Japan-South Korea relations and raising the political costs of any perceived compromises on territorial disputes. China-Japan relations have a greater potential to destabilise US-China relations than US-China relations do China-Japan relations. How to respond to the ascent of China is a question being probed in capitals across Indo-Pacific Asia. Citizens in the region are becoming increasingly dependent on China for their economic prosperity while at the same time China's growing military power causes apprehension, in part due to the uncertainty of how China will choose to use its power in the region in the decades ahead. Especially in nations that rely on the United States to guarantee their security there is growing concern about being forced to choose sides in the event of a military confrontation between the United States and China. Even if there is no armed conflict, many elites worry that their governments will be faced with a situation in which China would use its economic power as political leverage to further China's national interests, possibly in direct opposition to their own interests or the interests of the United States. In 2011 the East Asia Program at the Lowy Institute for International Policy embarked on a research, outreach and publication project that broadly examines the implications of China's rise. One of the project's aims has been to contrast perceptions among analysts and elites in Australia, Japan and South Korea about how to respond to China's rise, on the one hand, and to examine perceptions among Chinese analysts about how to develop relations with Canberra, Tokyo and Seoul, on the other hand. Australia, Japan and South Korea are all heavily dependent on trade with China. Each of these countries is an ally of the United States and has in recent years strengthened defence cooperation with the US. How to manage political relations with China and how to build genuine trust with the Chinese Government are questions of critical importance to the governments in Canberra, Tokyo and Seoul. As research within the wider project progressed it became evident that gaining a deeper comprehension of bilateral relations within Northeast Asia is an essential but often overlooked dimension of understanding the broader implications of China's rise. In September 2013 the East Asia Program brought together Australian, Chinese, Japanese and South Korean specialists to probe Northeast Asian political and security dynamics at three workshops, all entitled ‘Northeast Asian political and security dynamics in flux’, in Beijing, Seoul and Tokyo. The aim of the workshops was to probe deeper into China-South Korea ties, China-Japan ties and Japan-South Korea ties as well as more broadly into Northeast Asian political and security trends. Ms Linda Jakobson has been responsible for the project and has been assisted by several East Asia Program members, and especially Dr Malcolm Cook and Mr Dirk van der Kley. The report was written by Dr Cook and it draws on the discussions of the three workshops as well as research interviews the project team conducted in 2013 in Beijing, Canberra, Seoul, and Tokyo. The project team and the Lowy Institute are grateful for crucial financial support from the Japan Foundation and Korea Foundation, which enabled the co-hosting of the workshops and research toward this report. This report also benefitted greatly from the insights of the experts who participated in the workshops held under the Chatham House rule. Linda Jakobson is a Nonresident Fellow at the Lowy Institute for International Policy. From 2011-2013 she served as the Institute's East Asia Program Director. During this time she headed the project on Northeast Asian politics and security dynamics. 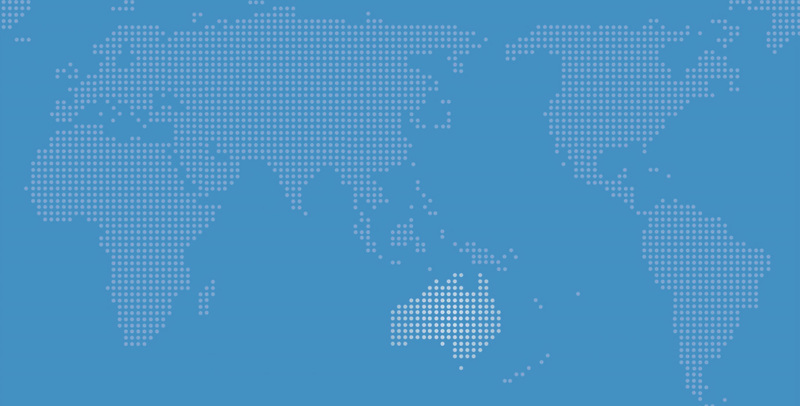 The Lowy Institute website (www.lowyinstitute.org) provides more information about the project including the agenda of each workshop and participant lists. Northeast Asia is one of the most important crucibles of global economic and strategic change, and it is far from a stable one. The modern histories of China, Japan and South Korea were forged by Japan’s colonisation of China and Korea and the Korean War that divided the peninsula and saw China on the side of North Korea and Japan on the side of South Korea. This recent history has left the bilateral relations on each side of this turbulent triangle strained by a lack of trust, popular antipathy and unresolved territorial disputes. As noted in the project’s Beijing workshop, the stalled trilateral free trade agreement negotiations between the three Northeast Asian neighbours, launched with great hope in 1997, have been the victim of this turbulence and strain. China is the world’s fastest rising major power; Japan is the world’s fastest declining one; and South Korea is a globally emerging economic and diplomatic middle power. These three national trajectories are creating new, challenging triangular dynamics. In the past 14 months, new conservative nationalist leaders have come to power in Japan, South Korea and China. Their administrations’ respective management of relations with the other two provide new insights into these new dynamics and how they will shape Northeast Asia’s future. The very successful summit between Presidents Xi Jinping and Park Geun-hye in Beijing in June 2013 reflects a move to closer relations. Xi’s and Park’s repeated rebuffing of Prime Minister Shinzo Abe’s calls to meet without preconditions suggests the opposite. For the growing number of countries that have an increasing interest in Northeast Asian stability, understanding these new and enhanced triangular dynamics and how the leaders of China, Japan and South Korea interpret and act upon them is essential. Much of the current analysis of Northeast Asia and its key neighbouring state relations has adopted a power politics approach centred on US-China relations and how other states in the region are affected and attempt to affect these. Yet, the triangular relations between China, Japan and South Korea are in a period of fundamental change driven predominantly by domestic and bilateral factors. These factors and their impact on relations between China, Japan and South Korea may affect US-China relations and the position of the United States in East Asia more broadly than US-China relations will affect relations among these three Northeast Asian neighbours. This report will look at each of the bilateral relationships that make up a side of the turbulent triangle with a focus on the key domestic and bilateral factors shaping current and future relations. It will conclude with policy recommendations that seek to facilitate a better understanding of the present and future of Northeast Asian strategic relations. Some of the recommendations will hopefully be drawn upon by decision-makers in Canberra to leverage Australia’s limited ability to influence these relations. Over the past two decades, China-South Korea relations have changed significantly, following the establishment of diplomatic ties in 1992. One Chinese workshop participant noted that prior to 1992, China adopted separate approaches to North Korea (very amicable) and South Korea (very acrimonious). Since normalisation, China has pursued a similar approach of trying to develop normal, cooperative relations with both. The participant noted that Beijing has succeeded in this vis-à-vis Seoul but not in its relations with Pyongyang. South Korea’s last three presidents, Presidents Roh (2003-2008), Lee Myung-bak (2008-2013) and Park (2013-) have adopted a different approach from their predecessor to relations with China and China’s place in the hierarchy of South Korea’s foreign and strategic policy. Despite the different approaches on the South Korean side, the general direction of China-South Korea relations has been consistently in favour of greater recognition and cooperation in step with the growing economic integration between South Korea and China. In 2012, South Korea’s exports to China alone were 38% greater than South Korea’s combined exports to Japan and the United States. A decade earlier they were less than half. China’s exports to South Korea now exceed Chinese exports to Japan. This combination of different political approaches and a consistent trajectory is repeated when it comes to the shared problem of North Korea at the centre of China-South Korea relations. The factors behind this consistent trajectory are powerful. They suggest that China-South Korea relations will increasingly constrain South Korea’s relations with Japan and the United States given the differing national interpretations of the strategic implications of China’s rise. South Korea’s hesitancy to fully commit to supporting the United States’ regional ballistic missile defence system opposed by China and backed by Japan (and Australia) is one sign of this constraint. Relations with China have been at the centre of the foreign policy approaches of the last three presidential administrations in South Korea. For President Roh Moo-hyun, closer economic and diplomatic relations with China were essential for his goal of repositioning South Korea as equidistant between China and the United States and acting as a regional balancer between the two. Closer and more cooperative relations with China also facilitated and were facilitated by President Roh’s enhancement of his predecessor’s ‘sunshine policy’ of inducement and engagement with North Korea. This policy’s focus on encouraging North Korean political and strategic change through economic support and reform advocacy brought Seoul’s approach to Pyongyang in line with Beijing’s approach to North Korea, as noted by Chinese and Korean participants in the project workshops. Lee Myung-bak’s victory in 2007 and the return to conservative rule in South Korea saw a rejection of the increasingly compromised sunshine policy towards North Korea, a focus on reinvigorating strategic relations with the United States and Japan, and a more reserved approach to China. Lee’s initial travel schedule as president underlined this return to ‘strategic normalcy’ as he visited Washington first, Tokyo second and Beijing third. China’s steadfast backing of North Korea and the diplomatic cover Beijing provided for Pyongyang in 2010 after North Korea torpedoed a South Korean corvette in South Korean waters and shelled South Korean positions on Yeonpyeong island saw a strong shift in South Korean public opinion against China. China’s actions in support of North Korea reaffirmed for many in the Lee administration their belief that Presidents Kim Dae-jung’s and Roh’s sunshine policy and pan-Asianist views had tilted South Korea’s foreign and security policy too far towards China. The early days of Park Geun-hye’s administration are proof that China-South Korea relations transcend the left-right divide of South Korean politics. While Park is from the same side of politics as Lee Myung-bak, her administration’s approach to China and North Korea is distinctly different. As with Presidents Kim and Roh, Park’s approach to relations with North Korea support closer and more cooperative relations with China. President Park’s trustpolitik towards the North is less hardline than her predecessor’s approach and has a similar logic to the sunshine policy as signified by Park’s early move to restart family reunifications. China’s growing frustration with North Korea’s intransigence has also led Beijing to qualify its steadfast support for North Korea as shown by Beijing’s support for increased United Nations sanctions on North Korea. As with Presidents Kim and Roh, China’s and South Korea’s policies under President Park towards their shared neighbour are convergent. One Chinese workshop participant though warned that if China is not seen to be suitably responsive to President Park’s overtures, China-South Korean relations may suffer from a South Korean backlash as was seen in 2010. Over the last two decades China-South Korea diplomatic relations have continued to deepen and improve despite the best efforts of North Korea, territorial disputes over Ieodo islet, Mount Baekdu and the ancient kingdom of Koguryo and the two states’ divergent strategic relationships with the United States. South Korea was the last Northeast Asian state to recognise China diplomatically in August 1992 and Jiang Zemin became the first Chinese leader to visit South Korea in 1995. Lee Myung-bak became the first South Korean leader to visit China more than once during his term (he visited three times) and Park Geun-hye is the first South Korean leader fluent in Mandarin. At the 2013 summit between Xi and Park numerous new modes of communication were agreed upon. One Beijing workshop observer described the summit as important because for the first time it acknowledged the generic importance of the bilateral relationship and provided real content to the relationship. This increase in bilateral leaders’ visits and familiarity has facilitated the elevation of the bilateral diplomatic relationship as a whole. China and South Korea announced a ‘full-scale cooperative partnership’ during the Kim Dae-jung administration, a ‘comprehensive cooperative partnership’ during the Roh Moo-hyun administration and a ‘strategic cooperative partnership’ during the Lee Myung-bak one. At the popular level, a similar trajectory of engagement is occurring: South Koreans are the largest cohort of foreign students in China and Chinese are the largest cohort of foreign residents in South Korea. This trajectory of greater recognition and engagement is girded by three key factors. First, China and South Korea are experiencing long periods of diplomatic and strategic rise that have seen both states become more engaged regionally and globally and more confident in their own positions within the regional and global orders. Borrowing Goldman Sachs’ terminology, China is the leading power by far among the so-called ‘BRICs’ and South Korea is the most advanced power in the so-called ‘next eleven’. The two neighbours are simultaneously advocating for and benefitting from the diffusion of global economic and diplomatic influence away from the traditional Atlantic powers and Japan. As was noted by one Beijing workshop participant, China-South Korea (and China-Australia) relations also may benefit from China’s growing interest in middle-power diplomacy and engagement. Second, neither South Korea nor China sees the other as a direct threat. In 1993, a year after normalisation, only 4% of South Koreans polled viewed China as the most threatening country, a much lower percentage than for Japan or North Korea. A decade later, only 2% of South Koreans polled saw China as the most threatening country compared with North Korea at 58%, the United States at 32% and Japan at 4%. In a 2013 Pew Center poll, 46% of South Koreans polled had a positive view of China while 27% saw it as a partner, compared with 17% who saw it as a threat and 53% as neither. This latter poll did not ask about comparative levels of threat to South Korea from other countries. The present low-burning state of South Korea-China territorial disputes underlines this lack of direct strategic competition. Territorial disputes between China and Japan and South Korea and Japan over miniscule, uninhabited islands and maritime rock formations have intensified sharply in the last decade. This has not occurred between China and South Korea despite the occasional upsurge in anger over the dispute as shown recently by China’s East Asian Air Defence Identification Zone that covers Ieodo and South Korea’s responsive expansion of its own zone. The different trajectories of these Northeast Asian territorial disputes support the judgement of many of the project workshop participants that these disputes act as the medium for power political struggles between the claimants. When the claimants are not involved in strategic competition, the disputes do not heat up. Chinese strategic concerns with South Korea are primarily based on South Korea’s alliance relationship with the United States and US-China relations. Similarly, South Korean strategic concerns with China, presently, are primarily based on China’s alliance relationship with North Korea and China-US relations. Chinese participants in the project workshops noted that China perceived the US-South Korea alliance as much less of a problem than the US-Japan one as the US-South Korea alliance continues to focus on ‘bilateral issues’ while the US-Japan one (as with the ANZUS alliance) is regionally focused. Finally, China’s and South Korea’s opposite relationships with North Korea and their common interest in stability on the Korean peninsula have supported this positive South Korea-China trajectory. Experts and officials in South Korea fully recognise that the United States is South Korea’s essential partner in defence against North Korea. Many think that China may be the most important partner in encouraging favourable political reform or peaceful regime change in North Korea, a point made repeatedly at the project workshop in Seoul. The results of a 2011 public opinion poll by the South Korean co-host of this workshop, the Asan Institute for Policy Studies, go as far as to suggest that strategic relations between Beijing and Seoul may be tenser and less cooperative if Korea is unified. Respondents to this poll clearly nominated China as the greatest potential threat to a unified Korea. The trajectory of the Japan-South Korea relationship over the past decade is the opposite of the China-South Korea one. It is one of strategic and diplomatic disengagement and intensifying dispute. Both South Korean and Japanese workshop participants viewed present bilateral relations as the worst since diplomatic normalisation in 1965. As with the China-South Korea side of the turbulent triangle, Japan-South Korea relations under the last three South Korean presidents have been a combination of different political approaches to bilateral relations and a consistent relationship trajectory. The changes in approach to Japan and Japan-South Korea relations among the last three South Korean administrations have been starker than the differences in approach to China. Japanese governments’ approaches to South Korea have tracked the volatilities of Japan’s own political system since the coming to power of Prime Minister Junichiro Koizumi in 2001. President Kim Dae-jung (1998-2003) did the most among elected South Korean leaders to place Japan-South Korea relations on a firmer and broader basis. This focus on strengthening ties with Japan undoubtedly was aided by Kim’s knowledge of Japan and the safe haven Japan provided him during his days as an opposition leader in authoritarian South Korea. The fact that he was the first South Korean leader from the left of politics (where anti-Japanese nationalism is the strongest) also aided him in his approach to Japan in an echo of Nixon’s going to China. Under Kim, the long-standing ban against Japanese cultural imports was lifted, and South Korea joined Japan and the United States to form the Trilateral Coordination and Oversight Group (TICOG) in 1998 to better manage allied cooperation on and around the Korean peninsula. Roh Moo-hyun, Kim’s successor from the same party, took a very different approach to Japan, one much more consistent with the leftist consensus in South Korea. Roh in particular highlighted the territorial dispute between Japan and South Korea over Dokdo/Takeshima Island administered by South Korea. In 2005, South Korea named its new amphibious assault class of naval vessels the Dokdo class while the 2005 South Korean defence white paper did not name North Korea as a threat and justified increased defence spending on the threat from Japan. During Roh’s administration, TICOG largely stalled. Roh’s time as president (2003-2008) overlapped with the last half of Japanese Prime Minister Koizumi’s term and Prime Minister Shinzo Abe’s first term. Koizumi’s and Abe’s approach to South Korea in particular and Japan’s place in the region in general reaffirmed Roh’s Japan views. Roh’s Japan views and his perceived distancing of South Korea from the United States contributed to the downplaying of strategic relations with South Korea during the first Abe term and the prime ministerial term of Taro Aso. South Korea, despite its alliance with the United States and shared democratic values, was excluded both from Abe’s quadrilateral idea to forge closer strategic ties between the United States, Japan, India and Australia and Aso’s more ambitious ‘arc of freedom and prosperity’ stretching across the Eurasian continent and the Pacific Ocean. As with North Korean policy, President Lee took a very different approach from his predecessor to relations with Japan, one focused on strengthening strategic and diplomatic ties with Japan. Lee’s embrace of closer relations with Japan was aided in the earlier years of his term by the coming to power of the leftist Democratic Party of Japan (DPJ) in August 2009 and it focus on improving relations with China and South Korea and its leaders’ decision to stay away from Yasukuni shrine. Faced with North Korea’s increasing, nuclear-tipped belligerence, Lee recommitted South Korea to TICOG. This included much greater information sharing on North Korean contingencies between South Korea and Japan and the first Japanese naval observers on South Korean vessels during US-South Korea exercises and the first South Korean naval observers on Japanese vessels during US-Japan exercises. In 2011 in response to the Fukushima disaster, South Korea chose to send military planes to Japan for the first time to assist and Japan chose to accept them. Following the example of the Japan-Australia information-sharing agreement, South Korea and Japan negotiated a similar agreement. Despite being from the same side of politics as Lee Myung-bak, President Park Geun-hye has adopted a much more distant and at times dismissive approach to Japan. Kim Dae-jung’s personal political career before becoming president contributed to his commitment to engaging cooperatively with Japan. Park’s own past may be contributing to her cold-shouldering of Japan. Her father and former president, General Park Chung-hee, normalised relations with Japan in 1965 in the face of strong popular opposition and is accused of being a collaborator with Japan’s colonial authorities. At the project workshops in Seoul and Tokyo, there was close to a consensus opinion that Park Geun-hye’s approach to Japan is constrained by this personal history and her vulnerability to attacks that she is too ‘pro-Japan’. Current Japan-South Korea relations are also constrained by the return of the Liberal Democratic Party and Prime Minister Abe to power given his views of Japanese modern history and decision to visit Yasukuni shrine. Park’s repeatedly restated view that a summit meeting with Prime Minister Abe is ‘pointless’ unless Abe first significantly alters his historical beliefs captures the present state of Japan-South Korea political relations. Participants in the project’s Seoul and Tokyo workshops noted that present Japan-South Korea relations are weakened by the lack of active back-channel communication between leaders and officials with good personal relations. This is the first generation of Japanese and South Korean leaders and officials that were not born during the Japanese colonial period and did not experience the Korean War. Workshop participants in Tokyo expressed a similar concern about generational change among leaders and officials in China and Japan and the withering of personal familiarity and back-channel communications. Two factors in particular are setting and supporting this negative trajectory in Japan-South Korean relations. The first is the political influence of entrenched negative views of Japan in South Korea aggravated by the enduring belief that Japan, and particularly conservative leaders in Japan, have not properly acknowledged Japan’s colonial and wartime actions. The bilateral intelligence-sharing agreement negotiated during the Lee Myung-bak administration was to have been the highlight of Japan-South Korea strategic rapprochement. The South Korean side then baulked, backing out on the day of the signing ceremony due to the growing political backlash in South Korea. There was no such popular or political problem in Japan in relation to this bilateral agreement. Dokdo/Takeshima Island has increasingly become the lightning rod for South Korean anger towards Japan. The fact that Lee Myung-bak near the end of his term became the first South Korean leader to visit this island after starting his term promoting closer South Korea-Japan relations is testament to the power of this South Korean constraint on the bilateral relationship. Likewise, polling data suggests that South Korean views of Japan are worsening. The second factor underpinning this bilateral trajectory is the very different national directions of Japan and South Korea over the past two decades. While South Korea is in a period of rise, Japan is in a long period of relative decline underpinned by its severe demographic and fiscal situations. These different directions are leading South Korea to become an economic threat, and at times victor, against Japan in areas from consumer goods to nuclear power plants that were at the centre of Japan’s rise to become the most advanced and leading country in Asia. Japan’s own decline and the diffusion of influence away from the traditional powers is benefitting and being celebrated by South Korea while it is undercutting and being bemoaned in Japan. The combination of these two increasingly powerful constraining factors has led to what one of the Seoul project workshop participants insightfully called three widening perception gaps between Tokyo and Seoul. The first gap is a cognition gap over the causes of the present tensions. South Korean leaders and officials are focused on Japan’s lack of historical reconciliation while Japanese leaders and officials are focused on South Korea’s politicisation of these issues and unwillingness to go beyond them. The second gap is an adjustment one. Japanese leaders are not adapting to South Korea’s increasing influence and declining interdependence with Japan while South Korean leaders are not adjusting to Japan’s growing frustration with its declining influence and the domestic political ramifications of this. The third gap is a strategic gap. Japan defines China as its greatest threat and is revisiting its regional and alliance relationships to better combat China. South Korea does not share this concern. These three gaps are increasing ‘Korea fatigue’ and ‘Korea passing’ in Japan and anger against Japan and ‘Japan passing’ in South Korea, a point made repeatedly in project interviews in both Seoul and Tokyo. The China-Japan side of the Northeast Asian triangle is the most important for stability in East Asia and the most fractured. In contrast to China-South Korea and Japan-South Korea relations, political approaches to China-Japan relations have not changed appreciably in response to changes of government in Japan or leadership generations in China. Domestic political factors in both major powers, the troubled history between the two neighbours and their deeply intertwined but opposite national trajectories have placed China-Japan relations on an accelerating trajectory of strategic contestation. China-Japan economic relations themselves have become more politicised and less stabilising. China-South Korea relations have shown the greatest and most stabilising change in trajectory over the last twenty years. China-Japan ones have shown the opposite. The territorial disputes between China and South Korea have interfered sporadically with the improvement in China-South Korea relations. The Dokdo/Takeshima dispute has become the focal point of diplomatic dispute on the South Korean side of bilateral relations with Japan. The territorial dispute over the Diaoyu/Senkaku islands has become the focal point of diplomatic dispute and military sabre-rattling for both China and Japan leading to growing worries of a China-Japan military conflict that would escalate into a US-China one. Heightened expectations that the historic change of government in Japan in 2009 would lead to a significant warming in China-Japan relations after the Koizumi-Abe-Aso administrations were quickly dashed. Instead, the short period of DPJ rule, after the political demise of Prime Minister Hatoyama, affirmed a strong, bipartisan consensus in Japan on China and China-Japan relations. This consensus was codified in the 2010 National Defense Program Guidelines, and released by the DPJ government. It identifies the rise of China as the greatest threat to Japanese security and position in Asia and the consequent need for Japan to respond firmly to this challenge unilaterally, through the US-Japan alliance and through fostering closer security ties with like-minded regional countries. Japanese participants at the project’s Tokyo workshop argued that Prime Minister Abe’s announced revisions of these guidelines would take a firmer line against China than the 2010 guidelines. The 2010 China-Japan diplomatic standoff over the collision between a Chinese fishing trawler and a Japanese coast guard vessel in the disputed Senkaku/Diaoyu waters inflamed nationalist feelings in both claimants. The widespread view that Prime Minister Naoto Kan bowed to Chinese pressure and released the captain led to a severe popular backlash and clearly indicated the risks Japanese leaders face in being seen to compromise on China issues. Kan’s successor, Yoshihiko Noda took a noticeably firmer line on China and on the territorial dispute. The landslide victory of the Liberal Democratic Party and Prime Minister Abe in the 2012 Lower House and 2013 Upper House elections and the decimation of the DPJ have further entrenched this domestic political consensus on China, a consensus that permits little latitude for individual Japanese leaders or scope for consensus-questioning external intervention, even by friendly partners. Likewise, Japanese public opinion towards China and China-Japan relations has been on a consistent downward trajectory over the past two decades. In a recent Pew Center opinion poll only 5% of Japanese polled had a positive view of China and 40% identified China as an enemy. Reflecting the mutually constraining nature of current China-Japan relations, China’s new generation of leaders, like their predecessors, also face significant popular and political pressures against perceived compromise with Japan. Opposition against Japan has been at the centre of the much-discussed rise of popular political expression in China and the pressure this places on current Chinese leaders. The ninth annual Japan China public opinion poll shows a sharp increase in Chinese unfavourable feelings towards Japan with 93% of respondents in 2013 opting for this option as against less than 40% in 2007. Debate in the project’s Beijing and Tokyo workshops highlighted how both Japan and China have well-honed arguments about why the other side is primarily responsible for the deterioration in bilateral relations and the increasingly militarised rise in tension over the Diaoyu/Senkaku islands. The reiteration of these opposing allocations of blame further hardens positions on both sides and increases the political costs of challenging these narratives. The same two factors constraining Japan-South Korea relations and underpinning their present destabilising trajectory are constraining Japan-China relations and underpinning their destabilising trajectory. China’s rise is much more challenging for Japan than that of South Korea in terms of speed and scale. China has clearly taken over the mantle that Japan had held for over a century of being Asia’s leading power for the foreseeable future. This loss combined with Japan’s relative decline is behind Japan’s increasing strategic fear and frustration and its increasingly singular focus on China. China’s rise itself means that Beijing can apply more pressure on states to change policies or behaviours that it sees as inimical and is expected to do so. Japan’s lack of reconciliation with its modern history and the Japanese conservative leaders’ nationalist revisionism is aggravating the unresolved historical problems at the same time that they are becoming more politically important for Chinese leaders to address. Consequently, a reiteration of Deng Xiaoping’s request for China and Japan to shelve the Diaoyu/Senkaku dispute for the next generation is less feasible on the Chinese side and less acceptable on the Japanese one. One difference clearly distinguishes China-Japan from Japan-South Korea relations in a manner that further undermines the chances of the present Japan-China negative trajectory being slowed or altered. Both Japan and South Korea are dependent allies of the United States and share a very similar view of the benefits of continued American strategic commitment to East Asia as is and does Australia. This provides the United States in particular scope to intervene in Japan-South Korea relations in favour of more cooperation and greater stability, and limits the scope of Japan-South Korea disengagement and conflict. Japan’s role as the leading American ally in East Asia and China’s support for a reduced role for the United States in the region expand the scope for Japan-China strategic competition and limit the scope for effective American intervention. In the three project workshops, local participants canvassed the benefits and feasibility of stabilising American intervention into Japan-South Korea and China-Japan relations. One Chinese participant also noted that China would not want to face a united US-Japan front against China’s rise and that this may help moderate Chinese approaches to Japan. The fact that all three workshops canvassed the idea of American intervention in Japan-South Korea and China-Japan relations indicates the high level of concern with the negative trajectories of both sets of relations and their impact on regional stability. These concerns and the desire to address them are particularly important for Australia given that China, Japan and South Korea are Australia’s largest export markets and major sources of foreign direct investment. Australia has long seen Northeast Asian stability and the American strategic presence in East Asia as vital interests. One of the Australian participants in the project workshops also noted that war in Northeast Asia involving Australia militarily was a more likely scenario than war in Southeast Asia. In the past two decades, forging closer, broader and more predictable relations with each of these Northeast Asian states has been a strong bipartisan focus of Australian foreign relations as shown by the signing of joint declarations on security cooperation with Japan and South Korea, a free trade agreement with South Korea and the elevation of the China-Australia relationship to a ‘strategic partnership’. The fact that the trajectories of all three sets of relationships are primarily propelled by deeply rooted domestic political factors and national trajectories means that there is limited scope for effective third-party intervention. While Australia’s relations with all three states have broadened and deepened over the last decade, Australia’s limited strategic weight means that there is little scope for Australia to play an effective bridging or good offices role, with one Australian workshop participant pithily arguing that Australia should leave Northeast Asian affairs to Northeast Asian states and the United States. A South Korean participant noted though that the constrained and often competitive nature of major power relations in East Asia provides more scope and need for middle-power cooperation and regional leadership by South Korea and Australia. In the case of China-Japan relations, Australia’s regionally focused alliance relationship with the United States and its much broader, deeper and more institutionalised relationship with Japan further limit the ability or wisdom of trying to assume such a role in China-Japan relations. Altering Australia’s relations with either Japan or China with the goal of trying to increase Australia’s ability to assume this role is not advisable given the limited scope for effective third-party intervention and the enduring strategic rationale for Australia’s closer relations with Japan. Australia’s alliance relationship with the United States and its growing security relationships with Japan and South Korea provide more scope for an effective role for Australia in moderating Japan-South Korea relations. Building on the successful contributions of the United States, South Korea and Australia to the international response to the March 2011 Fukushima disaster, Australia should organise a quadrilateral humanitarian assistance and disaster relief exercise with the United States, Japan and South Korea based on the lessons to be learned from 2011 to reinforce the experience and benefits of Japan-South Korea cooperation. Closer trilateral cooperation between Japan, the United States and Australia and South Korea, the United States and Australia, including on North Korean contingencies, could act as a useful substitute for any erosion in Japan-US-South Korea cooperation due to the state of Japan-South Korea relations. This dual-track trilateralism could strengthen Australia’s relations with all three states. More ambitiously, as Linda Jakobson has suggested when the Abbott government took office, Australia could build on its expertise in disaster relief and its recent contributions to disaster relief in Japan and China to establish a regional, state-of-the art disaster relief training centre that includes China, the United States, Japan and South Korea in Darwin, a central node for Australia’s regional disaster relief response. Developing such a centre under a regional grouping such as the East Asia Summit or ASEAN Regional Forum that includes all these states would reinforce the importance of cooperative Northeast Asian relations to the wider Asia-Pacific region. Local participants on the three project workshops repeatedly noted how regional organisations and activities have the benefit of bringing Japanese leaders and officials together with their Chinese and South Korean peers at times when bilateral tensions preclude bilateral summitry. Such a centre would also reflect Australia’s long-standing bipartisan view that regional organisations and activities are beneficial to regional stability and Australia’s regional influence. Such a centre also would help address the concern of one South Korean workshop participant that trilateralism in Northeast Asia runs the risk of weakening more inclusive regionalism. As important for Australia as seeking feasible ways to contribute to Northeast Asian stability is the need to ensure that Canberra and the wider Australian community commit sufficient resources to clearly understand the dynamics shaping relations in Northeast Asia and their impact on Australian interests. Increased allocations of intellectual resources to one country in Northeast Asia should not come at the cost of resources for other Northeast Asian countries or the region as a whole. Likewise, given the centrality of Northeast Asia to Australia and the turbulence in relations between China, Japan and South Korea, Northeast Asian resources should be ring-fenced from budget savings particularly in DFAT, ONA and DIO. Australia’s economic and strategic future has long been fundamentally shaped by Northeast Asia’s turbulent triangle. The turbulence in this triangle and its implications for Australia and East Asia as a whole are increasing. A better understanding of the powerful domestic and bilateral forces behind this and the limited but not insignificant scope for affected extra-regional states is a vital national interest. The author would like to thank the Korea Foundation and the Japan Foundation for their generous financial support for this project; Dirk van der Kley for his tireless research and organisational support; and Linda Jakobson in particular for her leadership of this project and her guidance and patience. This publication has benefitted greatly from workshops held under the Chatham House rule in Beijing, Seoul and Tokyo respectively and the insights of the experts who participated and who were interviewed outside the workshops as well. Good examples of this approach include Andrew Shearer et al, Power and Choice: Asian Security Futures (Sydney: Lowy Institute, 2010); Hugh White, “Power Shift: Australia’s Future Between Washington and Beijing,” Quarterly Essay 39 (2010); and Wang Jisi, “China’s Search for Stability with America,” Foreign Affairs (September/October 2005). Statistics taken from the South Korean Ministry of Trade, Industry and Energy. Total 2012 exports to China $134,323 million; United States $58,525 million; Japan $38,796 million. Total 2002 exports to China $23,754 million; United States $32,780 million; Japan $15,143 million. A workshop participant in Beijing noted though that the Chinese and South Korean economies are becoming less complementary and more competitive in nature and that this could add a new source of bilateral strain. A point made by a senior South Korean participant in the project workshop held in Seoul and co-hosted by the Asan Institute for Policy Studies and the Lowy Institute. Han Suk-hee, “From Engagement to Hedging: South Korea’s New China Policy,” Korean Journal of Defense Analysis 4 (2008). Kim Choong-nam, “The Sunshine Policy and Its Impact on South Korea’s Relations with Major Powers,” Korean Observer (Winter 2004). This judgment comes from a selection of interviews in 2010 with key foreign and security policy advisers and officials in the Lee government undertaken by the author. “China Says ‘No Dispute’ with South Korea over Ieodo in New Air Zone,” Yonhap News Agency, 25 November 2013, accessed 17 January, 2014, 2014, http://english.yonhapnews.co.kr/news/2013/11/25/14/0200000000AEN20131125... Ahn Yon-san, “China and the Two Koreas Clash Over Mount Paekdu: Memory Wars Threaten Regional Accommodation,” Japan Focus, 27 July 2007, accessed 17 January 2014, http://www.japanfocus.org/-yonson-ahn/2483; Ahn Yon-san, “The Contested Heritage of Koguryo/Gaoguoli and China-Korea Conflict,” Japan Focus, 11 January 2008, accessed 23 January 2014, http://www.japanfocus.org/-Yonson-Ahn/2631. “The N-11: More than an Acronym,” Global Economic Research Paper No. 153 (New York: Goldman Sachs, 28 March 2007). Cited in Ryoo Jae-kap, “U.S.-Korea Alliance in Transition: a ROK Perspective,” International Journal of Korean Studies IIX, no.1 (Fall/Winter 2004): 29. Cited in Sheen Seong-ho, “Tilting Towards the Dragon: South Korea’s China Debate,” APCSS Special Assessment (Honolulu: APCSS, December 2003). Bruce Drake, “As Tensions Rise in Asia, a Look at How Japanese, South Koreans and Chinese View Each Other,” Fact Tank (Washington DC: Pew Research Center, 21 December 2013). “South Korean Public Opinion on North Korea & the Nations of the Six-Party Talks,” Special Survey (Seoul: Asan Institute for Policy Studies, 27 October 2011). Taro Aso, “Arc of Freedom and Prosperity: Japan’s Expanding Diplomatic Horizons,” (Speech at the Japan Institute for International Affairs, Tokyo, 30 November 2006), accessed 20 January 2014, http://www.mofa.go.jp/announce/fm/aso/speech0611.html. D Kang and Lee Ji-young, “Japan-Korea Relations: a New Cold War in Asia?” Comparative Connections 13, no. 1 (January 2011). Bae Ji-sook, “Park Chung-hee Leads List of Collaborators with Japan,” The Korea Times, 8 November 2009. Information gained from interviews with Japanese interlocutors involved in the negotiation of this agreement. Interviews conducted in Tokyo in October 2013. In three opinion polls by NHK (Japan Broadcasting Company) in 1991, 1999 and 2010 respectively, the number of South Korean respondents expressing dislike for Japan increased from 58% to 63% and 71% respectively. Japanese views of South Koreans improved over this same period with the percent of Japanese who dislike South Korea at 41% in 1991, rising to 52% in 1999 and then falling sharply to 25% in 2010. Kei Kono and Miwako Hara, Japan-Korea, past, present and future: from a public awareness survey, Tokyo, NHK, December 2011, accessed 20 January 2014, http://www.nhk.or.jp/bunken/english/reports/pdf/report_111201-1.pdf . Michael Green, Japan is Back: Unbundling Abe’s Grand Strategy, Lowy Institute Analysis (Sydney: Lowy Institute, December 2013). David Fouse, Japan’s 2010 National Defense Program Guidelines: Coping with the ‘Grey Zones’ (Honolulu: APCSS, April 2011). Tensions in the East China Sea, Workshop report (Sydney: Lowy Institute, December 2013). Bruce Drake, “As Tensions Rise in Asia, a Look at How Japanese, South Koreans and Chinese View Each Other, Fact Tank (Washington DC: Pew Research Center, 21 December 2013). James Reilly, Strong Society, Smart State: the Rise of Public Opinion in China’s Japan Policy (New York: Columbia University Press, 2011). Akira Kojima, “Japan as Number Three,” Japan Echo 36, no. 6, December 2009. Akio Takahara, “Putting the Senkaku Dispute Into Pandora’s Box: Toward a ‘2013 Consensus’,” in Tatsushi Arai et al (eds) Clash of National Identities: China, Japan and the East China Sea Territorial Dispute (Washington DC: Wilson Center, 2013), 75-85. Malcolm Cook is a Non-resident Fellow at the Lowy Institute and from 2003 to 2010 was the Institute’s inaugural East Asia Program Director. He completed a PhD in International Relations from the Research School of Pacific and Asian Studies at the Australian National University. He also holds a Masters degree in International Relations from the International University of Japan and an honours degree from McGill University in Canada, his country of birth. Before moving to Australia in 2000, Malcolm lived and worked in the Philippines, South Korea and Japan. In 2011, Malcolm became the inaugural Dean of the School of International Studies at Flinders University of South Australia and in 2014, became a Senior Fellow at the Institute of Southeast Asian Studies in Singapore.